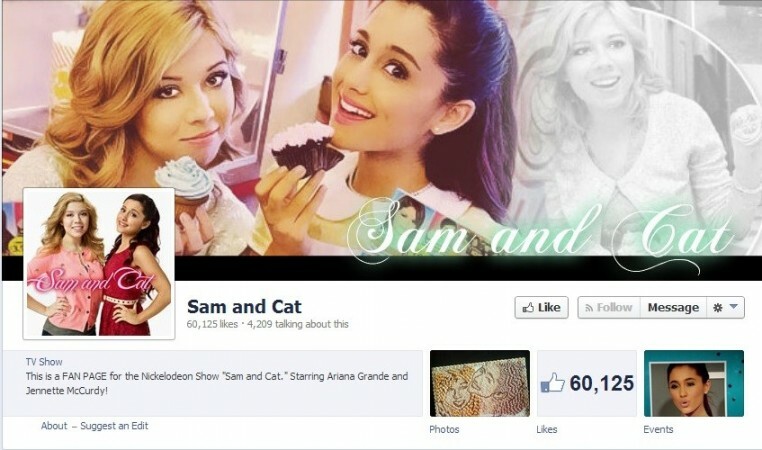 'Sam & Cat' Cancelled: Is Ariana Grande-Jennette McCurdy's Rumored Fight the Reason? Nickelodeon has pulled the plug on "Sam & Cat" after its first season, and speculations are rife that the show was pulled off the air either due to Ariana Grande's soaring music career, or her rumored fight with co-star Jennette McCurdy. Nickelodeon has pulled the plug on "Sam & Cat" after its first season, and speculations are rife that the show was pulled off air either due to Ariana Grande's soaring music career, or her rumored fight with co-star Jennette McCurdy. Grande's singing career has been on the rise in recent times, and her 2013 debut album, Yours Truly, found a place on top of Billboard 200 soon after its release. Grande's second album, My Everything, will hit stores on Aug. 25. The network did not specify a reason for cancelling the show, other than to say that no additional episodes of the children's show will be produced. "Nickelodeon will not be producing more episodes of Sam & Cat," the network said in a statement cited by Deadline. "We are very proud of the show and its very talented cast and we wish them all the best." Grande addressed the cancellation on Twitter account on Sunday, thanking Nickelodeon for making her childhood dream come true. "Thank you to the cast and crew who I spent almost every day with for a good 4 or 5 years. Thanks for lighting us beautifully, shooting us beautifully, making the most incredible props, yelling at us when we were running late to set, keeping us on track and most of all for making it such a positive work environment," she wrote. The show, featuring McCurdy and Grande as roommates who start a babysitting business, had been a success since its debut as it featured two of Nickelodeon's famous stars. But in recent times there have been rumors of a rift between the two actresses. Reportedly, McCurdy even accused the network of unfair treatment, and the tension between the two actresses was made evident when McCurdy did not join Grande during Nickelodeon's Kid's Choice Awards ceremony in March. "I was put in an uncomfortable, compromising, unfair situation (many of you have guessed what it is) and I had to look out for me," McCurdy tweeted, explaining why she skipped the award function. "I chose to not go because sticking up for what is right and what is fair is what my mom taught me is ALWAYS the most important thing." While a number of McCurdy fans believed that the rift was the result of Grande allegedly drawing a significantly larger salary, the "Problem" singer dispelled the rumors stating that they were treated equally on the show. "Jennette and I agreed upfront that we would be treated equally on this show in all regards (as we should be, considering we each work just as hard as the other on this show)," Grande, 20, wrote via Twitter in April. "The rumors circulating about our contracts and our salary not being equal are absolutely ridiculous and false. I don't know who's putting these idiotic quotes out there but I thought I'd straighten it out and try to end this nonsense."